We triangulate with you; you triangulate with us. 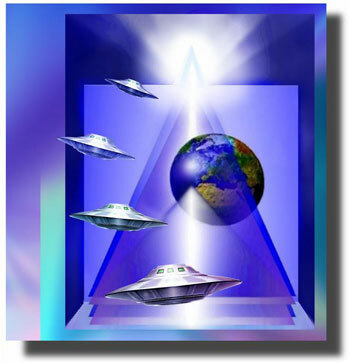 We in turn are triangulated with Sananda and his ship #10. For he coordinates all of these actions throughout the network of light servers on planet Earth, and he will guide all operations now to begin through this activation, in preparation for the Eastern European Mission. 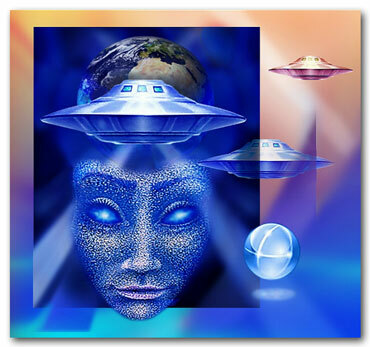 By my Martian presence, bringing in Fourth Ray crystallization, you also have another clue by which we begin to firm up these procedures on your third dimensional plane for these fourth dimensional actions to come. So, Dr. Hannibal brings me in on a number of accounts, as I remain aboard his sister hieronic craft #1236, receiving these feeds and further forwarding these hieronic procedures from Dr. Hannibal and Summalt in triangulation with ship #10. We secure this foundation; and we shall begin to build upon this foundation in the coming weeks, so that by the time the mission is launched everything will be in place interdimensionally. And that means throughout all planes, from celestial, etheric, astral and unto your physical plane; amalgamated, unionized, brought into complete synthesis for the hierarchal projections that will ensue. With this announcement, you therefore can expect a new stimulation as you focus your demonstrations for these Christ actions to promote peace, love, cooperation and coordination; anchored firmly in this Western Hemisphere and to be shuttled into the East, first through the thought waves, as demonstrated this evening through these triangulations, and then positioned on the physical plane in those key locales where you shall funnel these energies into those areas in need in order to break the deadlock that exists in that portion of the globe. We have our plan in hand, well formulated; well protected by the forces of Lord Michael and El Morya on the First Ray, who join in this pinpointed activation by their promotions in this energy download through this focus of light. We shall parcel out these inspirations and information as deemed wise on our part for your perusal as these activations proceed. You have another key in our use of the code of triangulation; and that is the Trinity aspect of Father, Mother and Son, cosmically speaking, and also innately speaking through the triangulated interaction of your superconscious, conscious and subconscious aspects of mind, which are now linked solidly for these works to be manifested on the physical plane through I Am Self action. My brothers and sisters of Earth, I come in also in this triangulation as a representative from the Federation of Planets, for Earth also is networked with all throughout this solar system for this advancement of planet Earth into the New Age of Aquarius. 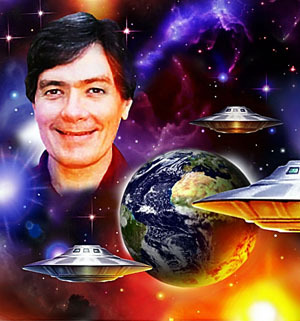 We are a united staff of light workers under Lords Maitreya and Michael throughout this solar system, to exercise this implantation of light for the health and ongoing evolutionary benefit of your orb. Let this suffice for this moment in time, for we perceive and we designate unto you that all is well for these advancements. We have paved the way. Therefore, step out on a sure footing and walk this path that we have laid down for your evolutionary benefit. As you extend yourselves into our realms, so we thus have extended ourselves into your realm. For we are one. Krator of Mars, implementing crystallization on Earth. I bid you peace. [He then signed off in Martian space language.] Om. Note: Just before we said the Lord’s Prayer, Conrad contacted me with a hieronic beam, activating also my heart chakra in his unique way. Thus alerted, I entered our Hierarchal Board meditation. Midway through my projections, there was an explosion of light in my crown chakra: the black-onyx crystal pyramid, which had been anchored over my upper chakras on June 6th, instantly was activated and began pulsing with white light. Within a few minutes, Dr. Hannibal and Summalt jointly overshadowed me. As their hieronic controls locked on, they transmitted the phrase “countdown for activation procedures.” Then they began to rev up my chakra centers, apparently for a hieronic transmission or a vocal communication. They both employed universal sign language to form their characteristic signatures; Summalt with my left hand, Hannibal with my right hand. They moved my arms and hands in configurations to help anchor their combined light bodies through my auric field. When their forms were completely synchronized through mine, the polarity shifted and they reversed their signatures: Hannibal formed his with my left hand; Summalt, with my right hand. At that point in the hieronic session, I thought the two space commanders were going to channel a joint message, as has occurred on some other occasions. But, to my genuine surprise, they suddenly brought in Krator of Mars, deftly blending his force field with the three of ours. With Krator now at the forefront, a stronger hieronic manipulation took over, which seems characteristic of the Martian’s contact. My throat and facial muscles, responding to the force of the chakra stimulation, became contorted, convulsed, transfigured with his high-frequency extraterrestrial vibration. When I was fully prepped, Krator gave me the go-ahead signal to channel. At the beginning, referencing the recent landing of NASA’s Martian probe Curiosity, he explained one reason why he had been selected as spokesperson this evening. Because I am a conscious channel, any transmission necessitates my conscious cooperation and single-minded concentration. Krator has to utilize my particular human brain waves and thought constructs in order to transmit any message, as well as any sound vibrations I might produce with my vocal cords. 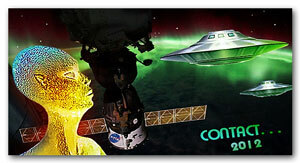 To transmit completely foreign — or extraterrestrial — matter is an extraordinarily difficult task, on both sides of the veil. These attempts at outer space language carry inbuilt stressors. To my urgent plea, Krator reassuringly replied, “Relax, Phillel. Let me guide the process more easily.” He must also have tweaked a hieronic gauge, for suddenly I became calmer. What then came through was decidedly different, both in rhythm and tonal quality. He concluded his Martian sign-off by sounding Om. In our sharing afterwards, we all concluded there had been a definite shift in this otherworldly experiment. Another precursor to tonight’s contact is that I dreamed last night that Yolanda and I led a group of light workers in meditation. I did not know anyone present. During the meditation, I channeled a message from one of the masters. (When I awoke, I did not recall either the communicant or the theme of the message.) In our subsequent sharing, several in the group objected to the communication, challenged it openly. Others were receptive. 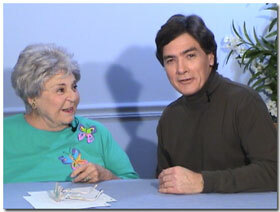 Yolanda said nothing; she merely observed how I handled both the channeling and the group reaction. She may have been taking the thought temperature of the mass subconsciousness and of those in the astral planes. Postscript: After we adjourned our Hierarchal Board meeting, I went outside. It was just after twilight. Walking down the driveway, I stopped in my tracks, amazed. Positioned in the western sky over Braden Mountain was a stellar-planetary conjunction that formed a perfect triangle! (Later I discovered this was a conjunction of Mars, Saturn and the star Spica. See image at left. For a description, click here.) Never before have I seen this stunning configuration. How uncanny, I thought, given Krator’s repeated emphasis on the many levels of triangulation. Here was the same sign, a unique cosmic triangulation for all on Earth to see! The next day, still feeling the aftereffects of the hieronics, I struggled to adjust to the higher vibrations and to maintain my grounding. I was depleted physically and was spaced-out mentally. Two days prior, the unmanned NASA space probe Curiosity landed successfully on the planet Mars, to begin an extensive series of explorations of the third dimensional, physical environment. Of course, life on Mars exists in higher dimensions of vibrational frequency, beyond the detection capability of our physical instrumentation. For more information on the spiritual significance of Earth’s space program, such as through NASA, see Chapters 162, 169 and 170 in Visitors From Other Planets. Robert and MariLyn will leave for the Eastern European Mission on September 5th. For one month they will be in Russia and the Ukraine. Larry Colston, a longtime Mark-Age Family member from Georgia, attended the Hierarchal Board meditation. Photos: (1) Configuring the Mission © by Hartmut Jager. (2) Traversing Time and Space © by Hartmut Jager. (3) Through the Veil (enhanced by author) © by Hartmut Jager. (4) Contact 2012 © by Hartmut Jager. (5) Nada-Yolanda and Phillel, 2002, Mark-Age Archives. 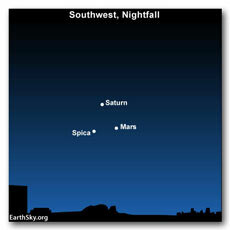 (6) Conjunction of Mars, Saturn and star Spica; image courtesy of EarthSky.org. LISTEN TO PODCAST: Click on the “Play” button below to listen to the above communication, as recorded live on 8/8/12. This recording was released on I Am Network of Light tape #1052A, for the week of 9/9/12.